No state requires you to hire a lawyer for probate, but under certain conditions it will be helpful to do so. To probate a will can mean two different things. 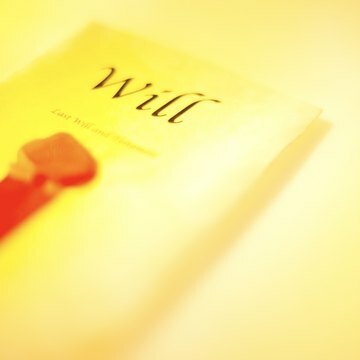 First, there is the process of proving the validity of the will. Assuming a will satisfies the legal requirements for validity, the next step is to execute its terms. Either step can involve considerable administrative paperwork or litigation. The complexity of the estate can also suggest whether getting a lawyer would be a good idea. According to the Uniform Probate Code, you are an interested party under the will and can file the will in court with a petition for probate if you have been named the personal representative of the decedent or beneficiary. Though state law varies in its adoption of the code, filing the will typically involves completing a petition form. In some states, the probate clerk can assist in completing the petition form, making it less likely that the filing of a will to initiate probate proceedings in those states would require hiring a lawyer. In many instances there will be no controversy regarding the validity of a will. In some states, a will filed with a notarized affidavit from the witnesses is “self proving,” and, according to Evans Legal, in such cases there would be very little for a lawyer to do at this step of the process. For a variety of reasons, however, there could be significant litigation as to whether the will filed for probate is legally sufficient. For example, under the Uniform Probate Code and most state laws, a will must generally meet certain minimal criteria in its form and content and must be adequately witnessed, and a more recent will usually takes precedence over an older version.In a dispute over the validity of the will, it is recommended to seek professional probate law advice. After a will is proven, the second major phase of probate is to administer the estate according to its instructions. The court will designate a personal representative, which could be the subject of some litigation. The personal representative will then be responsible for creating an inventory of the estate’s assets and liabilities, notifying beneficiaries, paying the estate’s debts and distributing the assets. According to Free Advice, the personal representative must also file tax returns on behalf of the estate if necessary. Because paying debts, distributing assets and filing tax returns can involve complicated paperwork and legal transactions, it is usually helpful to consult with an attorney unless the estate’s assets are minimal. When deciding whether to hire a lawyer to probate a will, it is critical to consider the type of legal assistance you will need. While many lawyers handle both litigation and transactional law, Lawyers.com says you should be sure the attorney you hire has the skill set you require. For example, if the estate in question involves no issues as to the validity of the will or identification of the personal representative, but has significant stock or real estate holdings, you will probably benefit most from hiring someone with a specialization in these types of property. On the other hand, if the validity of the will is the major issue, hiring an experienced probate litigator will most likely provide the best benefit. Free Advice: Can I Handle Probate Without a Lawyer? Lect Law Website: What is Probate? When a couple decides to divorce, moving through the process as quickly and easily as possible is often the primary objective. However, some states impose mandatory waiting periods, and the length of time it takes to have a divorce finalized depends on whether you and your spouse can reach a settlement agreement. Understanding how waiting periods can affect your divorce will help you better prepare for the process in Texas. Do Wills Have to Be Notarized in Pennsylvania?